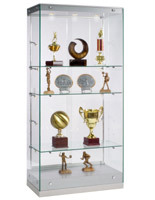 This display cabinet with interior lights is designed for use in high traffic, public environments such as retail stores, showrooms, schools, corporate or professional offices, and galleries. 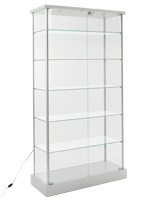 Each high visibility merchandising case is made from impact-resistant tempered glass and durable silver-finish MDF. 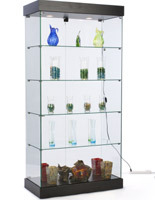 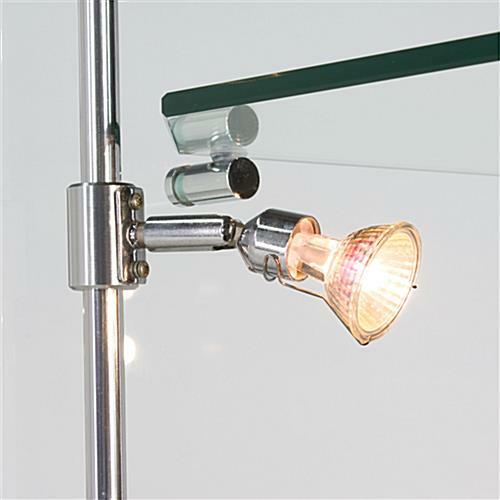 This 5-shelf glass cabinet with interior lights offers adjustable height shelving and includes 3 built-in toplights and 10 sidelights that swivel for maximum illumination. 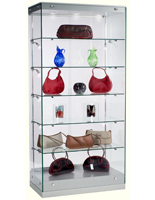 This type of retail or commercial merchandising case is ideal for high traffic public areas due to the sliding access panels that lock for maximum security of contents. 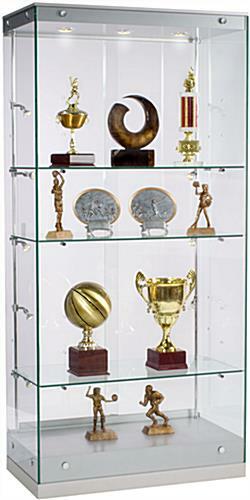 This tempered glass locking cabinet with interior lights can be used to house high visibility merchandise, gallery exhibits, corporate samples, trophies and awards. 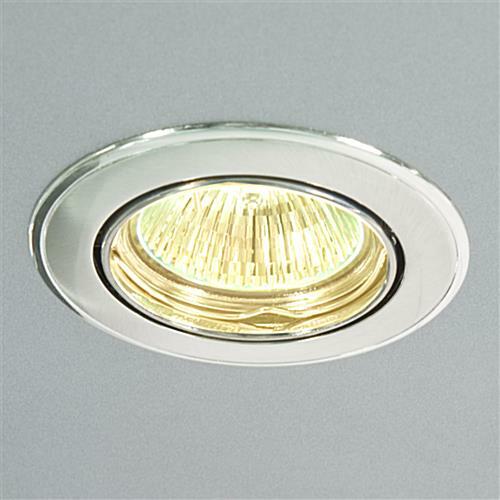 The neutral black finish MDF casing ensures this lockable fixture will complement any environment or decor.